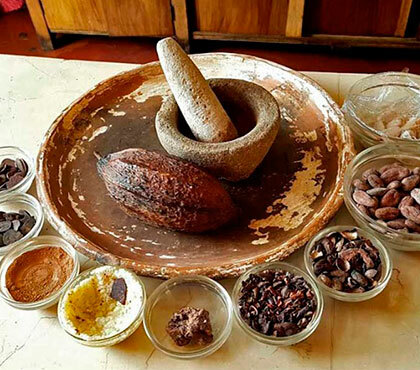 In ChocoMuseo, you will be able to learn about cacao and chocolate, like the production process or the history of cacao since the Maya, 1000 years ago. 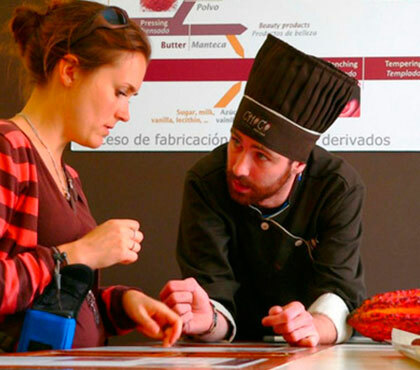 You can even sign up for a workshop, and make your own chocolate, right from the cacao beans! 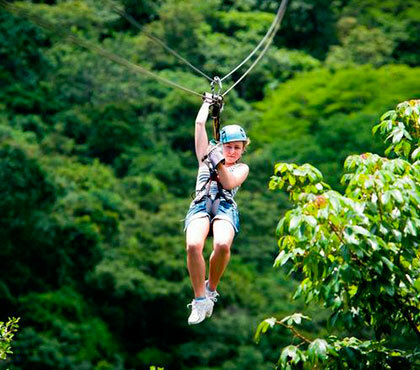 If you want to go even deeper in your knowledge, you’ll be offered to visit real cacao plantation, where you’ll meet farmers and share their passion. 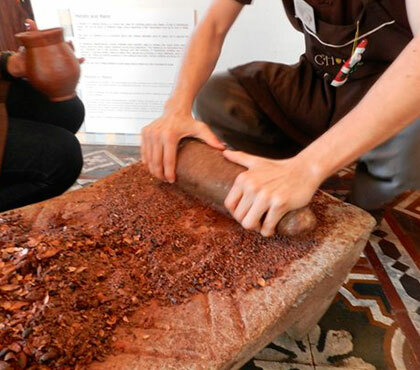 ChocoMuseo in Antigua Guatemala has many activities. 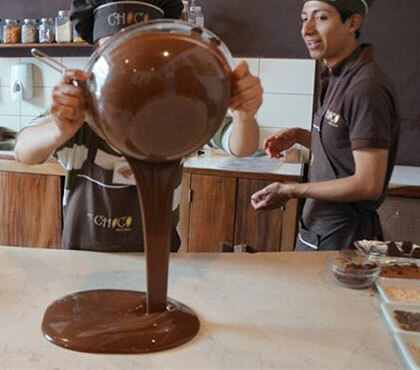 You can choose the 2 hours workshop, where you will learn how to prepae the Chocolate from the bean to the bar. All reservations must be made at least 48 hours in advance. At least one adult must participate for two children enrolled (4-12 years). Maximum 12 people per workshop. 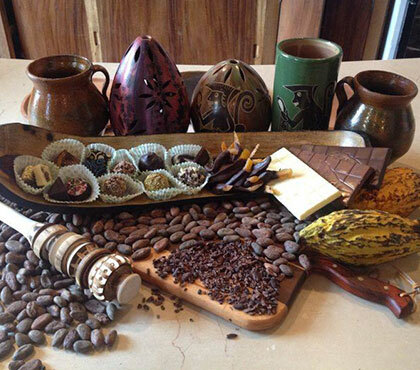 Have you ever thought about making your own chocolate? The one you are fond of? With nuts, almonds, coffee beans, cashew… Have you ever wondered where chocolate come from does and how the Cacao beans are processed to obtain the wonderful chocolate you crave? 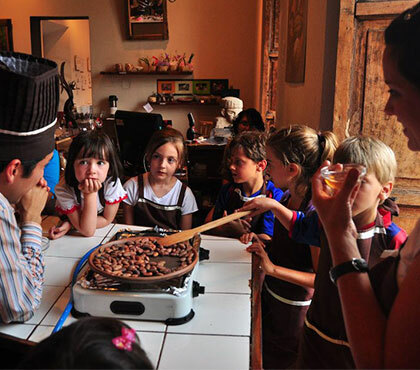 Well, ChocoMuseo in Antigua Guatemala bean to bar workshop is the right activity for you! In ChocoMuseo’s Cafeteria, you’ll be offered a wonderful selection of Chocolate drinks from around the world, as well as daily pastries. You’ll enjoy your snack in an original setting, in the colonial patio known as “La Fuente”.